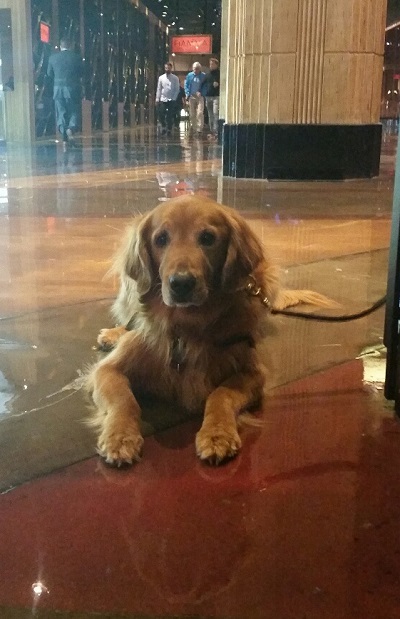 Is Las Vegas Dog Friendly? 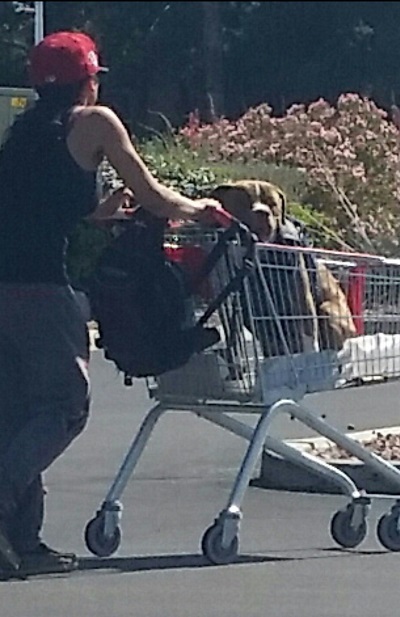 There are hundreds of dogs arriving on Vacation daily to the Las Vegas Area. Are they welcome? Absolutely. 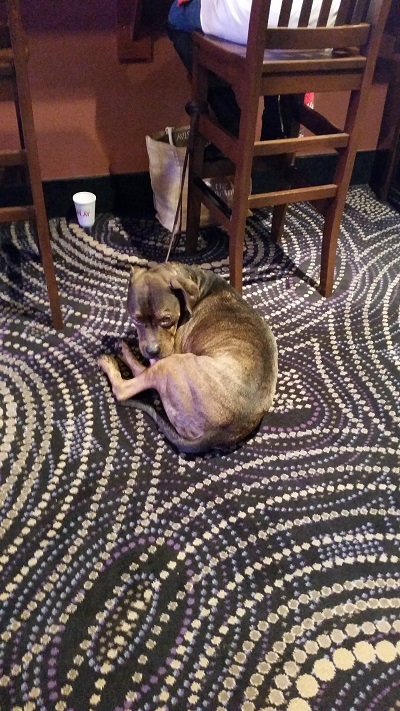 Just a decade ago there was a list of Hotels that allowed dogs and People visiting with dogs had just that list to choose from. 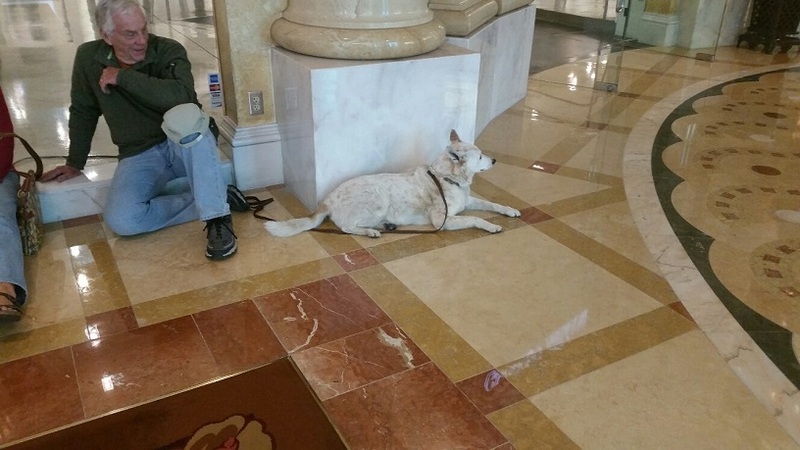 Now, there are only a few Hotels that do not allow dogs and even those will likely not say a word if You arrive with one. 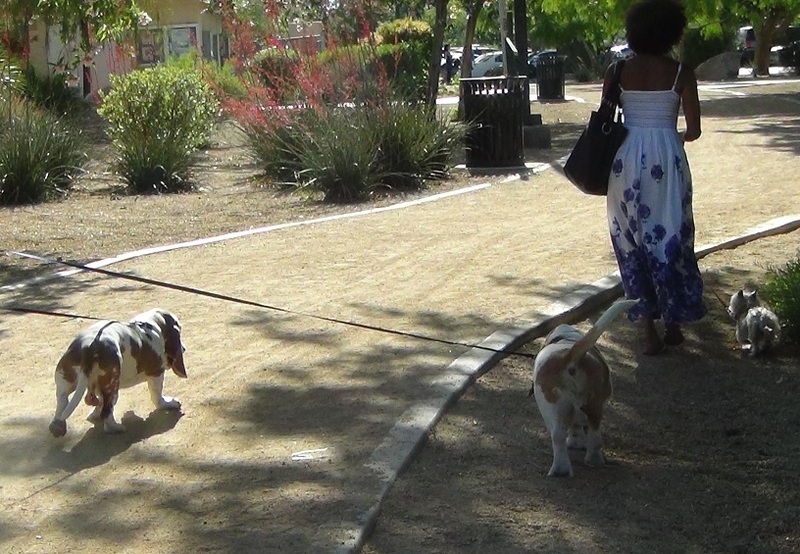 If You use our Hotel search at the top of this page, after choosing Your dates click on amenities and then check "Pets allowed" and You will find almost every Hotel is listed. 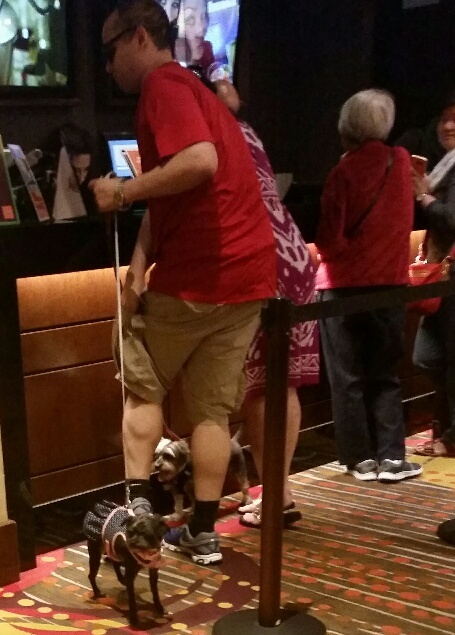 But only recently did I start seeing dogs in the Casinos. 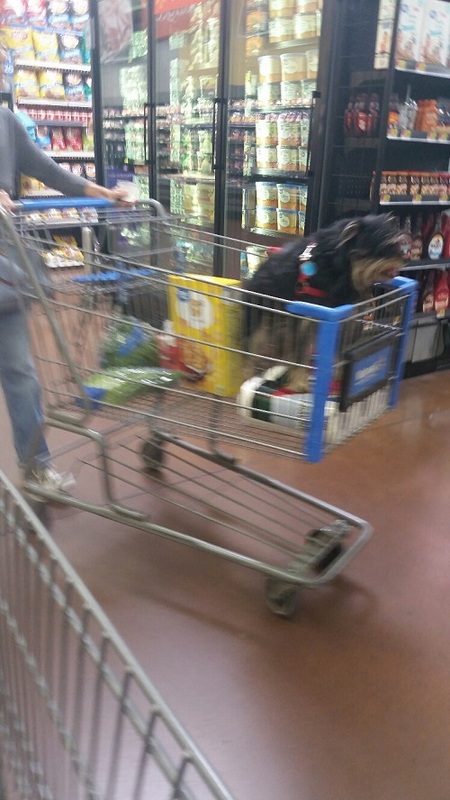 Now People do not leave Their dog in the room, They just take them with them. 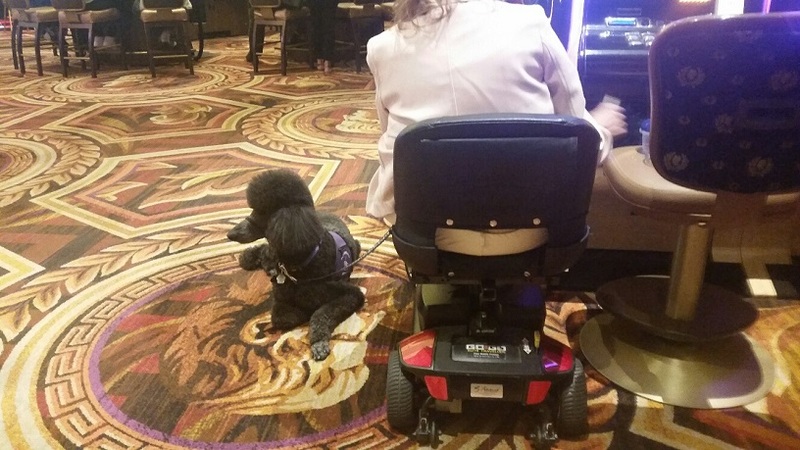 Sometimes they are resting under a craps table, a slot machine or in the lap of the owner. 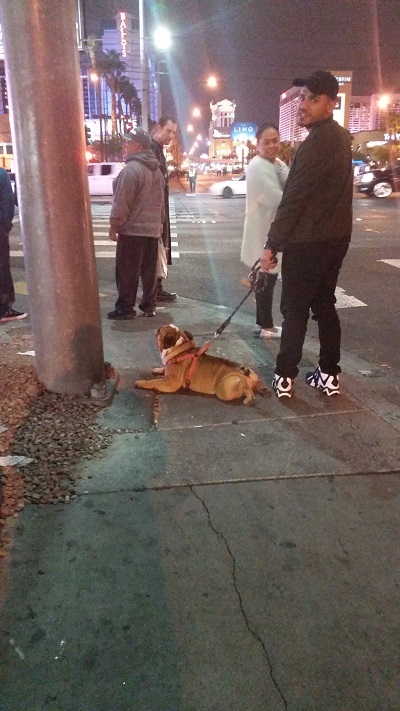 Are certain Breeds banned from Vegas? 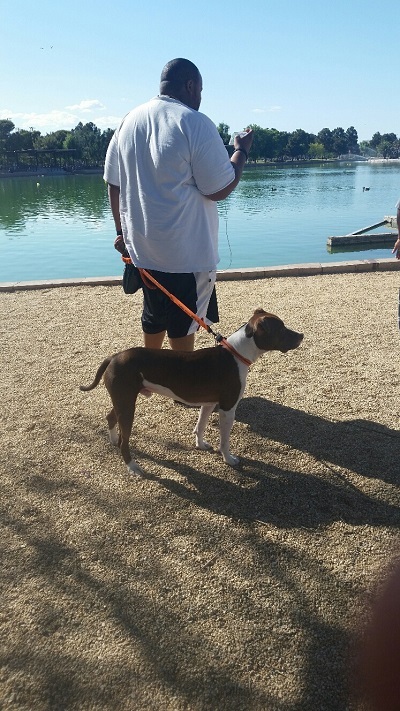 As You can see on this page there are big dogs, small dogs and even what is considered vicious breeds. 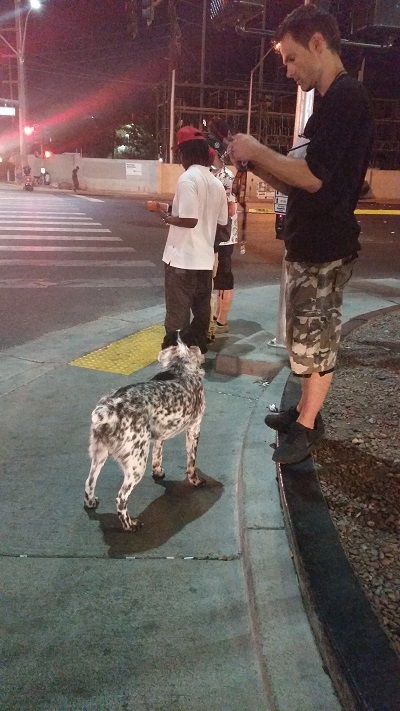 I have never seen security ask a dog owner to remove their dog or even ask what breed the dog is. There might be a law on the books but I have never seen it enforced. 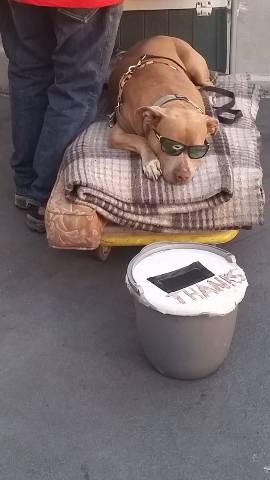 The Boxer in the above Video heard how Dog Friendly Vegas was and immediately booked a flight, took an Uber to the Linq Hotel and is now doing some shopping, His parents will arrive in a couple days. 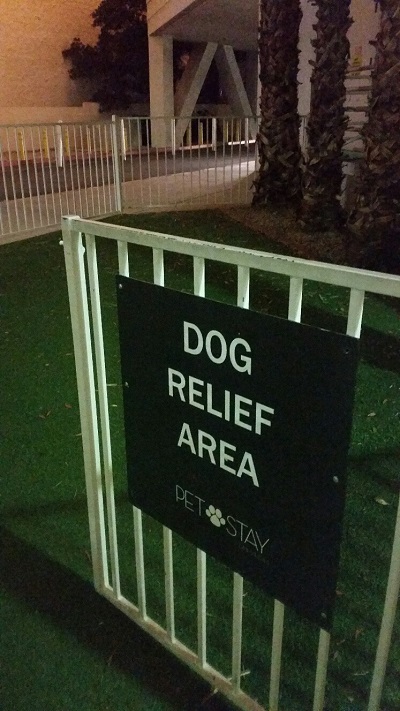 Every Hotel has a dog relief area, just do not expect to see real grass but dogs do not seem to know the difference. 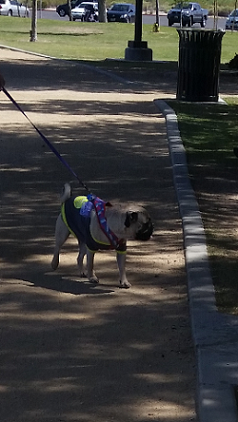 Collection bags are provided. 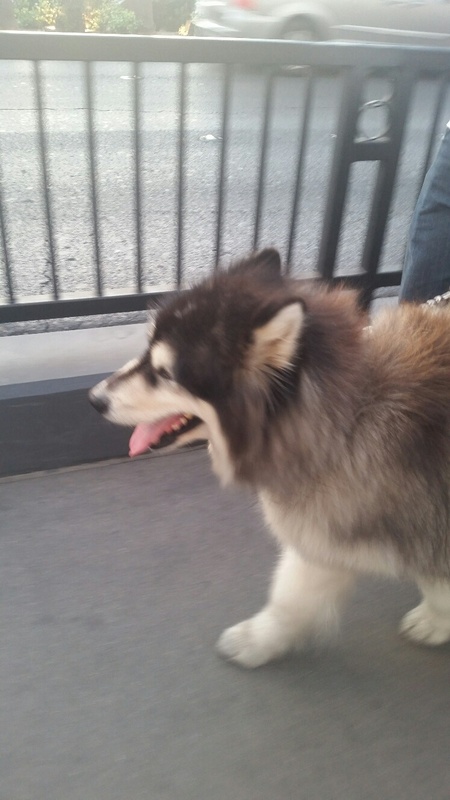 This large dog was visiting Las Vegas in April. 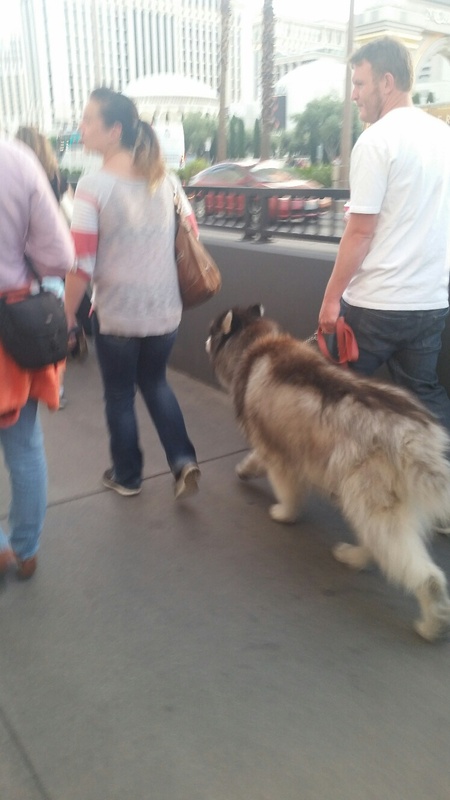 This dog would be uncomfortable in June, July and August outside in Vegas. 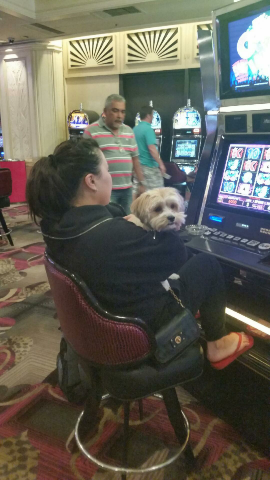 This little guy is playing Slots with His Mother at Flamingo.